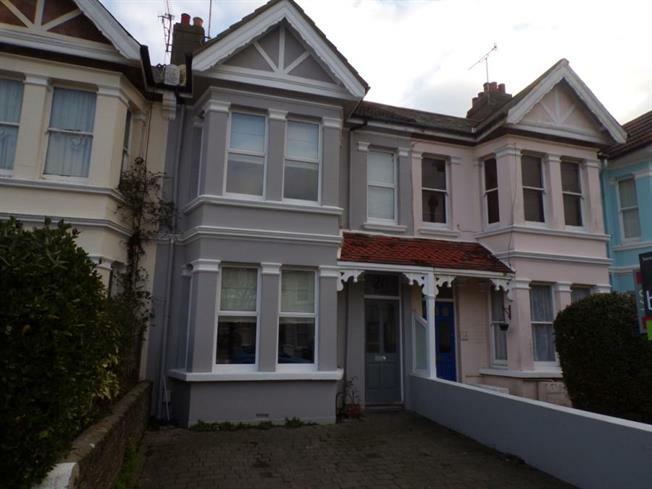 4 Bedroom Terraced House For Sale in Worthing for Offers in excess of £550,000. CHARACTER Edwardian four bedroom terraced house situated very close to the SEAFRONT and Worthing town centre. The property has been updated in keeping with all the character you would expect of a house this age and is offered in excellent condition. Accommodation comprises: Entrance hall, ground floor cloakroom, two reception rooms, 23' kitchen/breakfast room, four bedrooms and bathroom/WC. Outside there is a lovely walled rear garden and to the front private off road parking. Don't miss out on this beautilful family home, view early.